Gene Demby spoke to David Greene of Morning Edition about what this incident reveals about the current landscape of race and violence in the United States. David Greene: Could you walk us through the timeline of events in this story? Gene Demby: Jazmine Barnes was in a car with her mother and three sisters on Dec. 30 near a Walmart when shots rang out. Her mother was shot in the arm but survived. But Jazmine, who was 7, was shot in the head and died at the scene. The other girls in the car during the shooting said the gunshots came from a red pickup truck driven by a white male. And The New York Times reports that there was another still unsolved shooting in 2017 in the same area that witnesses say was committed by a white man in a Ford pickup. So that, in combination with a police sketch of the suspect, created a real fear that this was a racially motivated attack. Right. This week, the police have charged two suspects, Larry Woodruffe, the alleged shooter, and Eric Black Jr., the alleged driver. The police say they think the shooting was a case of mistaken identity. Eric Black and the alleged shooter, they say, were trying to retaliate against someone they had gotten into an argument with earlier, and they misidentified the car Jazmine Barnes was in. The police said that they believe that both the white male and the red pickup the girls in the car saw were real, but probably belonged to an innocent bystander who sped away during the confusion of the shooting. What did race have to do with this story capturing national attention? In the days after the shooting and before the arrests, Shaun King, an activist who is very prominent on social media, offered a $100,000 reward for information leading to the suspect's arrest and helped publicize the police sketch of the presumed white suspect. During that same period, Sheila Jackson Lee, a congresswoman from Houston, called Barnes' killing a hate crime. The context here is important. Remember, it was only two decades ago that a black man named James Byrd Jr. was lynched by white supremacists about two hours away from Harris County. That killing helped fuel federal hate crime legislation. More recently, there was the mass shooting by a white supremacist at a historic black church in 2015 in South Carolina, and the fatal car attack by a white nationalist in Charlottesville in . The FBI said in a report last fall that hate crimes were up 17 percent in 2017 — the third straight year that hate crimes went up. So the suspicions that this was a racially motivated attack, even though they were wrong, are based in this very real trendline around interracial violence. If this suspect were identified as black from the beginning, how might that have changed this story? Crimes with both black victims and black perpetrators tend not to make national news. Just two weeks before Jazmine Barnes was shot, another 7-year-old in Harris County was seriously injured in a drive-by shooting. When these crimes do bubble up to this level, it's usually invoked to wave away concerns around structural racism or police violence — you know, concern-trolling like, "Well, what about black-on-black crime?" There are sadly a lot of Jazmine Barneses in America, and lots of neighborhood rallies and memorials for slain little kids like her. It's telling that the relatively less common instance is one of a very few conditions in which those deaths would garner national coverage. In the audio of this interview, as well as in a previous Web version, we mistakenly say the Charlottesville car attack occurred in 2016. The attack took place during a 2017 rally. This week, 7-year-old Jazmine Barnes was buried in Harris County, Texas. The second-grader was shot and killed as she sat in a car on the morning of December 30, during a drive-by shooting. After initial reports that the shooter was a white man, there was local and national outcry that this shooting was a racially motivated attack. Then this week, deputies in Harris County charged two men in relation to the shooting, and both of them are black. Gene Demby is with NPR's Code Switch team, and he's here to talk about this case and what it might tell us about how Americans think about race and violence right now. Hi there, Gene. GENE DEMBY, BYLINE: Good morning, David. GREENE: OK. So can you start by just walking us through the timeline here? DEMBY: Jazmine Barnes was in a car with her mother near a Walmart - it was early in the morning - when shots rang out. Her mother was shot in the arm but she survived. Jazmine, who was 7, was shot in the head and died at the scene. The other passengers in the car, her sisters, said that during the shooting, they heard shots coming from a red pickup truck driven by a white male. And there was a police sketch after this of a white man in a hoodie that was widely circulated on social media. And so there was real fear that this was a racially motivated attack. GREENE: OK. But now we know that the suspected shooter was black. DEMBY: That's right. This week, the police have charged two suspects in the case, Larry Woodruffe, the alleged shooter, and Eric Black Jr., the alleged driver. The police say they think the shooting was a case of mistaken identity, that these two guys were trying to retaliate against someone they got into an argument with earlier and they misidentified that person's car as the car that Jazmine Barnes was in. They've both been charged with capital murder. The police say they actually believe that this red pickup and this white male actually exists, but they think that in the confusion of the shooting, the eyewitnesses in the car thought that that person was the shooter who was driving away. GREENE: OK. So given all of this, help me understand the role that race is playing in this whole national conversation right now. DEMBY: So really quickly after the shooting, between the shooting and the actual arrest, Shaun King, an activist who is very prominent social media, offered a $100,000 reward for information leading to the suspect's arrest. He helped publicize this police sketch of this presumed white suspect. During the same period, Sheila Jackson Lee, who's a congressman from Harris County, which is the county that includes Houston, where this happened, she called this killing a hate crime. So it became framed in the context of a racial attack. And the context here is important. So remember, it was only two decades ago that a black man named James Byrd Jr. was lynched by white supremacists about two hours away from Harris County in Texas. That killing helped fuel our federal hate crime legislation. More recently, there was the mass shooting by a white supremacist at a historic black church in 2015 in South Carolina. There was the fatal car attack by a white nationalist in Charlottesville in 2016. The FBI said in a report last year that hate crimes were up 17 percent in 2017. That's the third straight year. So the suspicions that this was a racially motivated attack, even though they were wrong, are based in this very real trend line around racially motivated violence. GREENE: But you're suggesting that if this suspect had been identified as black from the very beginning, I mean, this story would have been really different. DEMBY: Yeah. I mean, crime with both black victims and black perpetrators tend not to make national news, right? 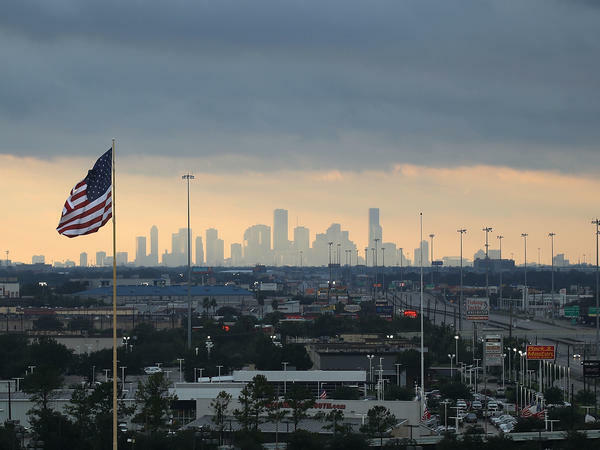 Just two weeks before Jazmine Barnes was shot, there was another 7-year-old in Harris County who was, unfortunately, seriously injured in a drive-by shooting. That child is OK. But when these crimes do bubble up to this level, that when they make national news, it's usually being invoked to wave away sort of concerns about structural racism, right? So when people talk about police violence, they say, well, what about the violence in black communities - this sort of concern-trolling about black-on-black crime. But there are, sadly, a lot of Jazmine Barnes out there. GREENE: That's Gene Demby from NPR's Code Switch team. Gene, thanks. DEMBY: Thank you so much, David. [POST BROADCAST CORRECTION: In the audio of this interview, as well as in a previous Web version, we mistakenly say the Charlottesville car attack occurred in 2016. The attack took place during a 2017 rally.] Transcript provided by NPR, Copyright NPR.